O-Posts Debate- Goal Of The Year So Far? Another day goes by with more transfer news, gossip, rumors and speculation surrounding the Gunners. There is some exciting news on Joel Campbell, so without further ado, here is the Arsenal Transfer News Roundup. Exciting and great news today which was first reported by fellow Arsenal blogger, Gunnerblog, as Joel Campbell's father and agent, confirmed on Costa Rica's sports website Al Dia, that a fee has been agreed between Saprissa and Arsenal for the services of Joel Campbell. It's a 5-year deal and the fee is around 930,000 pounds. 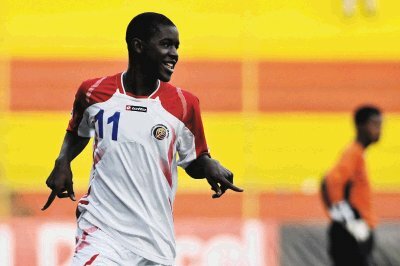 Whether or not Campbell joins the squad, will depend on whether or not he gets a "special talent" as he hasn't played 70% of his country's international matches. I believe that this is great news as Joel Campbell is certainly an excellent talent and hopefully he obtains the visa, so we can see him in action next season. Very fascinating news, as reports are stating and suggesting that the Gunners are lining up Napoli star and Slovakia international, Marek Hamsik, as a replacement for Cesc Fabregas. Hamsik is valued by his club at around 100 million euros, with the report suggesting that Arsenal will start their bidding at 20 million pounds. I believe that this just pure speculation, like most rumors. I am a big fan of Hamsik and I believe he would do very well with the Gunners, but with his inflated fee and Napoli being very adamant on keeping him, especially with Champions League next season. I seriously doubt that Hamsik will leave this summer. What do you think? Are you excited about the Campbell deal? 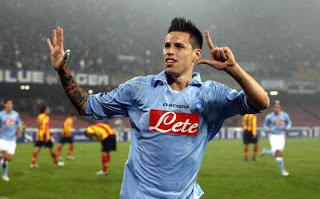 Do you see Hamsik as a proper replacement for Fabregas, if he leaves? Please share your thoughts and opinions.